Morningside Park. This 30-acre public park area in Harlem neighborhood of Manhattan, New York City. Which extends from 110th to 123rd Streets and Morningside Avenue to Morningside Drive at the border between Harlem and Morningside Heights. Also, much of the park is adjacent to Columbia University. The reasons I like this location is the many trees and lovely foliage that line the long trail ways in the park. The many steps, which elevate from one area to the next, which brings you to the top of Morningside Heights that overlooks the east side of Manhattan. The view from the bottom of Morningside Drive looks completely different depending on which street your standing. To stand in the park and face south you can see the downtown skyline. 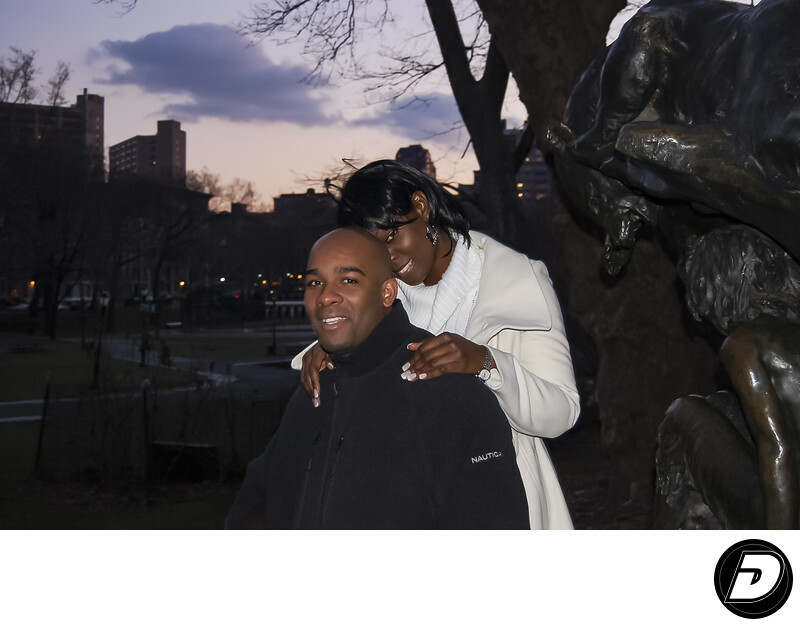 As a NYC Wedding Photographer, I have photographed many other types of photography sessions in this park. Portraits, family portraits, fashion, and beauty, This location is one of the best views to witness in the fall with the changing of leaves and its spectacular fall colors. If you are from Harlem or close by I would highly suggest or recommend Morningside park as a location for any photoshoot. 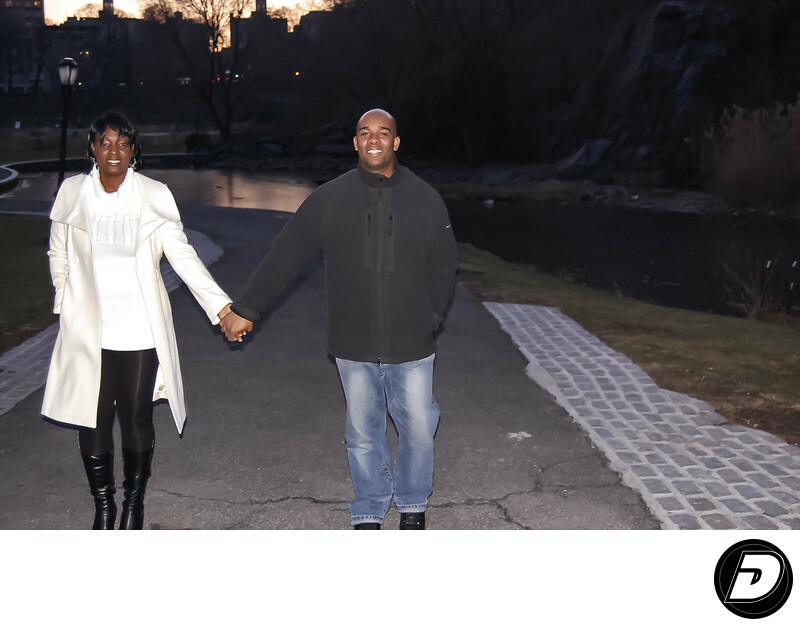 It's one of my favorite Manhattan locations for any type of engagement session. Contacts Donn Thompson or send an email we will be happy to work with you. Location: Morningside Dr, New York, NY 10026. 1/60; f/4.5; ISO 400; 34.0 mm.